Alan Fears - Metropolis Drawers, 2010. Pair of bespoke drawers by Alan Fears, 2010. 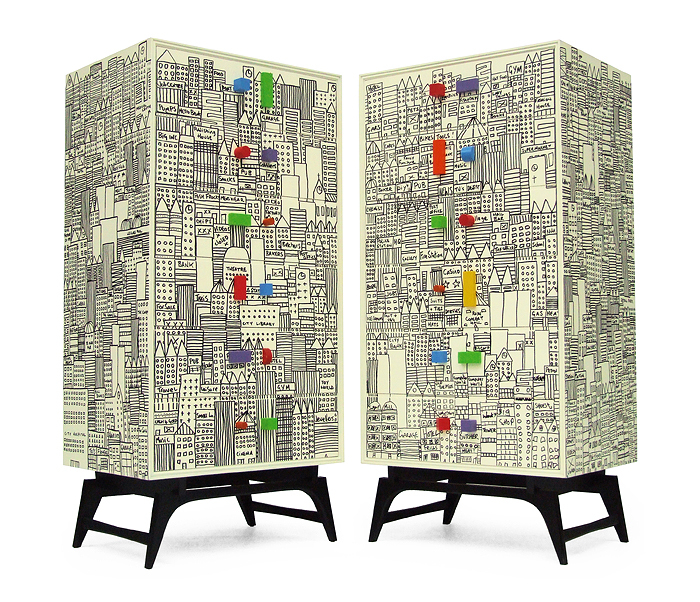 1960's drawer units finished in a freeform handpainted doodle cityscape design.